KUANTAN: Appointing a special representative to oversee the needs and requirements of Kampung Cherating Lama will help to ensure the problems faced are swiftly addressed and solved.Tanjung Inn Resort co-partner Tunku Datuk Seri Kamel Tunku Rijaludin said a special representative could help convey the grouses of chalet operators and industry players to the relevant agencies for proper action.“The representative can help with efforts to set up an action committee responsible for coordinating activities. 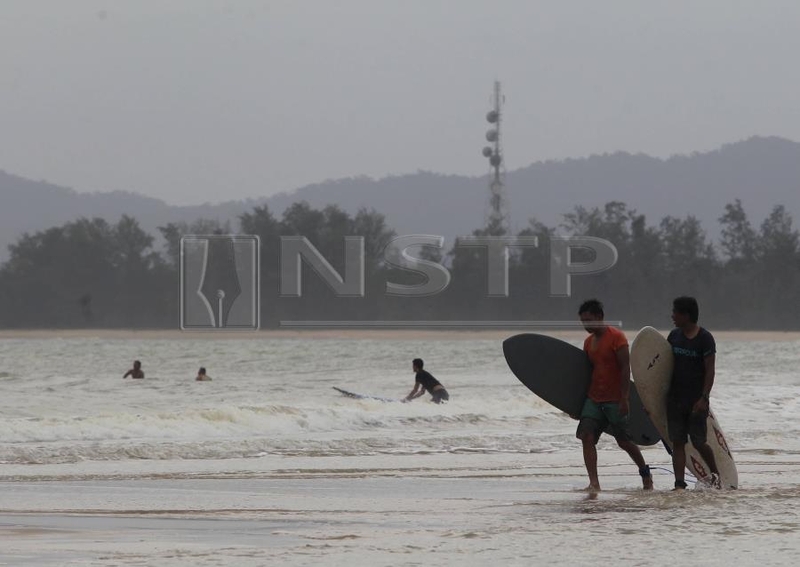 The ultimate aim is to help uplift the tourism industry in Cherating. “A website with all information on chalets, resorts, room rates and attractions should be created so that visitors here will be equipped with information,” he said, adding that a photography competition in Cherating could draw interest from the people to visit the beach. He said the government could promote Pahang-based arts and culture including joget Pahang, weaving, keris making and the preparation of mouth-watering traditional dilicacies. “For example, in Thailand there are opportunities for tourists to join cooking classes where one can cook local traditional dishes with the assistance from the locals before joining them for a meal later. This will provide added value to the existing activities. “Besides the sandy beaches and monsoon surfing activities, there are not many other attractions here which can help revive the beach. Cherating offers a lot of opportunities and efforts must be made to revive it. He also proposed that the state government introduced a law where the landowners in Cherating have to be responsible for maintaining the respective plots including trimming the grass and sprucing up the area. “If they fail to cut the grass, they will have to pay the local municipal council to get the job done. This will teach them to become more responsible for their respective plots and always keep the place clean. Idle land can be turned into parking lots or used for agriculture,” he said. Meanwhile, Bruno Pieraerts from Belgium said Cherating has huge potential. The 34-year-old who is making his first trip to Cherating said he saw it on travel guidebook “Lonely Planet” and there were many positive reviews of the beach. “However, I am a little surprised that there is no proper public transport to come here and I was forced to use Grab services from the main bus terminal. Since most of the eatery outlets are closed, there is hardly anywhere to eat. “The fireflies here are popular even in Europe....they were shown on certain documentaries. Since we prefer quiet surroundings, my wife and I are enjoying our trip but if there were more activities then I am sure this place can attract more people,” he said. To mark the third International Year of the Reef, Zulkifly Ab Latif joins in one of three International Coastal Clean-Up Day events in the country IT is a long walk from the chalet I’m staying to the dive centre. Slanting rays of morning sunlight pierce the clouds, illuminating the mist-capped mountains of the tropical island. The lush green jungle looks as impenetrable as it was the day before when I arrived. The white sandy beach takes on the hue of the golden morning sun as I walk along it while the waves gently lap against the shore. Looking out at the calm ocean, I can almost picture my friend gathered across the country, getting ready, as I am, for a similar goal. I know that there are friends now gathered near Desaru in Johor, ready to clean up the beaches. I also know that there are friends from Johor Marine Park, ready to scour the reefs of Pulau Sibu, Johor for trash and other marine debris. I know this because I’ve had to turn down the invitations to be here on Tioman Island in Pahang. Even so, there is consolation knowing that despite not being there with them, we are all connected to the same goal, to celebrate the third International Year of the Reef. Introduced in 1997 in response to the increasing threats on coral reefs and associated ecosystems such as mangroves and seagrasses around the world, the global partnership is known as International Coral Reef Initiative designated 2018 the third International Year of the Reef. Celebrated globally, various government agencies, NGOS, tourism establishments and communities in Malaysia have also embraced the effort resulting in a plethora of events and programme aimed at creating environmental change and awareness throughout the year. The year has seen various events held in support of International Year of the Reef 2018. One such event is International CoastalClean-Up Day, which is the reason I am visiting the beautiful island of Tioman. Hosted by Berjaya Tioman Resort, International Coastal Clean-Up Day 2018 is a three-day event involving 200 participants eager to contribute to the effort to conserve the majestic underwater reefs of the island. I am at the resort’s dive centre, which is managed by the dive operator UDive Malaysia. It is the first day of the event and the centre is abuzz with activity. Scuba tanks clang against each other as they are arranged after being filled with air, with divers intently checking their scuba diving equipment in preparation for the day’s dive. It is here that I meet Alvin Chelliah, a project manager for Reef Check Malaysia, a non-profit organisation concerned with protecting coral reefs. The long-term programme called Cintai Tioman (Love Tioman) on the island, established by Alvin, aims to help reduce the impact of human activities on coral reefs around the island while also empowering the local communities in managing and conserving the island’s resources, Alvin now lives on the island, working along with local workers and volunteers. Although fresh from another tiring clean-up programme mere days a go involving the island’s local community, Alvin is enthusiastic as he briefs me on the itinerary. Opting to sit out the first dive of the day, I join Alvin and other non-diver participants for a beach clean-up nearby in Tekek. With the even mainly centred on Berjaya Tioman Resort, the beach clean-up is also a perfect chance to take in the sights near the village of Tekek. Although still referred as a kampung (village), Tekek is now more like a small town, the heartbeat of Tioman. Here visitors will find the island’s only airport as well as a police station, other government offices, schools, a government clinic as well as duty-free shops. The only available road at Tioman is also in Tekek, that ends near Berjaya Tioman Beach Resort. Tekek is also the gateway to Kampung Juara, a small village on the opposite side of the island. Visitors normally hire waiting off-road vehicles in Tekek to ferry them to Juara, while the more adventurous can opt to trek there across the island’s jungle as well. Walking along the beach with the other participants, we comb the area for non biodegradable items such as plastic bags and bottles. The clean-up may seem like a mere attempt to improve the beach’s aesthetic appeal but according to Alvin it is more than that. Reef Check Malaysia aims to collect as much data as possible on the amount and types of trash on the coastlines so that it can provide concrete evidence to lobby for change in the nation’s recycling and waste management practices. Reef Check Malaysia hopes that all this effort will ultimately result in the prevention of trash entering the waterways and cease the need for further coastal cleanups. Hearing Alvin’s explanations while picking up carelessly discarded beer cans lodged between the coastal rocks, I realise it is a monumental task, not because of the amount of trash but because of the dire need to change people’s habits and behaviours. But through initiatives such as International Year of the Reef and International Coastal Clean-Up Day as well as programnes such as Cintai Tioman providing awareness and motivation, there is hope for environmental behavioural change. With the day’s clean-up done,I visit Rumah Hijau in Tekek, a community and recycling centre that upcycles waste into new products such as keychains and souvenirs. Run by local surfing enthusiast Hisham Uyub, the centre has a laid-back surfer vibe to it, complete with volunteers casually strumming on guitars as they take a break from their tasks. Along for the visit is Moe Faisal, a representative of Rip Curl Malaysia, which one of the sponsors for International Coastal Clean-Up Day 2018. An established brand in the surfing world, Rip Curl Malaysia is doing its part by producing limited-edition T-shirts in partnership with Reef Check Malaysia for the 2018 International Coastal Clean-up programme. Aptly named the Sea Warden T-shirt, RM15 will be contributed to Reef Check Malaysia for every one sold. Seeing such an established brand commit time and resources to conservation efforts is commendable, and I wholeheartedly hope that more companies will follow in Rip Curl Malaysia’s steps. With over 25 dive spots and pristine reefs protected under Marine Park status, Tioman Island is one of the nation’s often visited island for snorkelling and scuba diving activities. It’s no surprise then that I find myself on board a dive boat with other diver participants heading towards Tulai Island, a small uninhabited island located off the north-eastern coast of Tioman, for an underwater clean-up dive. It is on the boat that I meet Azura Zainal, a multitalented celebrity, radio and TV presenter. Known as an adventurous spirit thanks to her stint on the local travel and adventure television programme Xplorasi, Azura is among a group of celebrities and public figures who stepped forward in support of the International Coastal Clean-up programme as well as the International Year of the Reef 2018 initiative. The dive boat stops at Teluk Gador, a small and secluded cove that is one of the dive spots around Tulai Island. I buddy up with Azura as we ascend to the ocean’s depths with other divers of the group. Led by Akira of Udive, the group swims past and above coral covered rocks, looking for nonbiodegradable waste and other items that do not belong on the reef. Underwater clean-ups are not merely about collecting every piece of trash one sees, it also involves ensuring the act of removing waste items does not cause further damage to the reefs and marine environment.Swimming at depths ranging from eight to 15 metres, the dive at Teluk Gador takes 25 minutes to complete. I feel almost disappointed when the dive leader hand signals forasafety stop, since the underwater visibility is quite exceptional, making it extremely easy to spot colourful nudibranchs, spotted stingrays and small crustaceans hidden between the reefs. Travelling for festivals and cultural events is a common practice, since it is a wonderful excuse to explore and discover destinations. The International Coastal Clean-up Day event is in a similar vein, as it also lets participants explore different facets of Tioman’s beauty. Although environmental education and awareness will always take centre stage and be the main priority in any conservation programme, participants cannot help but take in the beauty thatthey are helping to protect. This observation is gleaned as he boat takes me back towards Berjaya Tioman Resort after the dive. Looking at the island from out at sea, Tioman is indeed an enchanting and spectacular place to visit. Steeped in history dating back to the 11th century, with a rugged terrain dominated by majestic granite peaks and white sandy beaches washed by warm crystal clear waters, Tioman is an ecological and marine haven that is far too important to be left unprotected and unappreciated. KUANTAN: The state government has submitted a proposal to alleviate the traffic congestion in Cameron Highlands to the federal government. Its Tourism, Environment and Plantations Committee chairman, Datuk Seri Mohd Sharkar Shamsudin said the proposal among others included opening alternative road and implementation of one-way routes. He said the matter, however, would be decided at the federal level as Cameron Highlands, was an income generator in tourism industry, which was one of the sectors contributing to country’s revenue. “I can’t say for certain when it (proposal) would be implemented as it needed an allocation from the federal (government) as it also benefited from the revenue (generated by Cameron Highlands).“We suggested measures to ease the congestion thereby creating an alternative route or implementing one-way road (system),” he told a Press conference after launching the state’s tourism product exhibition here today. Mohd Sharkar said tourism industry was the third largest contributor to the country’s income and needed to be further strengthened though clearer vision and directions. He said cooperation with industry key players like hotels, tourism products should be enhanced particularly in ensuring the products remain relevant and tourist choice of destination, both the domestic and foreign visitors. “I believe that with the right strategy, it is not impossible for tourism to be the number one industry in the country,” he said. On a separate matter, Mohd Sharkar, who is also an Umno supreme council member, dismissed allegation by Parti Pribumi Bersatu Malaysia (PPBM) supreme council member Datuk A. Kadir Jasin that 40 Umno members of parliament jumping ship as mere psychology war. He said the statement made by the prominent figure in journalism was a proof that the party led by Prime Minister Tun Dr Mahathir Mohamad was in trouble and unstable. “Why would (he) say that (Umno MPs jumping ship)? ; (it was) as if they (PPBM) are facing problems. “We (Umno) had never harassed and asked others to join our party...it showed that we didn’t have such problems,” he said. SUBANG JAYA: The 4K (family, career, health, and community) Women Empowerment programme has made its way into the Malaysia Book of Records for the collection and display of 8,509 handmade bags. The custom-made bags with various sewing techniques and fabrics were done by 896 tailors nationwide from Persatuan Seni Jahitan Kreatif Malaysia (PSJKM) and are being exhibited at the handmade market, at the Sewing World Gallery, Sky Park @ One City here, from Nov 22 until 25. PSJKM chairman Fully Chye Goet Lee said the 4K programme was aimed at encouraging its members to come up with creative ideas to produce handmade products. "Carrying the theme “Masih ada yang sayang”, it provides a platform for women entrepreneurs to start their business with their own products,”she added. Chye said the programme is held in collaboration with Epal Handicraft Training Centre, with the support of the International Trade and Industry Ministry, Tourism, Arts and Culture Ministry, Communications and Multimedia Ministry, and Women, Family and Community Development Ministry. “We are also cooperating with the respective agencies to provide 30 buses to bring visitors to the exhibition centre. The Sewing World Gallery will be made part of the tourist attraction,” she added. Chye expects at least 1,200 visitors to come to the exhibition and handmade market, which was launched by PSJKM patron Tengku Puan Pahang Tunku Azizah Aminah Maimunah Iskandariah on Thursday. Meanwhile, some 200 women entrepreneurs are showcasing their products at the handmade market, or Tunku Azizah Handmade Market, over the four-day event. Tunku Azizah said the programme could help empower women, especially from the B40 category to sell handmade products. “As they also have the responsibility of taking care of the family, this initiative offers a great opportunity to earn an income for those who are skillful with their hands, such as sewing, which is also a passion of mine." The Tunku Azizah handmade market offers handicraft such as handmade quilted bags, custom-made jewellery and batik products. The exhibition and market are open from 10 are to 7 pm until Sunday. THE residents of Pulau Tioman, off Rompin, Pahang, staged a protest against the construction of a new airport on the island, at Kampung Genting on Oct 21.The village head claimed that the new airport would be built on reclaimed land near Kampung Genting.“I urge the government to reconsider this plan. We, the people of Tioman, do not feel that this new project will benefit us,” he said, adding that the villagers were in the dark about the project. “Why is there no transparency in communicating information about this airport to us? The authorities have not sought our feedback.”Pulau Tioman has an airport in the main village, Kampung Tekek, but it has a short landing strip, allowing only smaller planes to land. Many of the villagers feel that it would be better to upgrade the current airport and use suitable airplanes to operate flights into the island.They suggested allowing more flights into the island from other airports (besides Subang Airport) such as from Kuantan, Senai and Singapore.They also suggested improving ferry services in Mersing and Tanjung Gemok jetty. Pulau Tioman is a well-known tourist destination. Tourist arrivals have been steadily increasing since 2008.However, the island does not have adequate infrastructure and facilities to support the growing number of tourists. It would not be able to cope with the influx of tourists that the construction of a new airport would bring. A new airport is not what the island needs. It will not benefit the local community or the environment.I have been living on the island for the past five years. The focus should be on improving and upgrading infrastructure, as well as the drainage system, rubbish disposal method, waste treatment and electricity supply. Pulau Tioman is hit by frequent water shortages in addition to problems due to improper wastewater treatment facilities. The incinerator on the island is not able to accommodate the large amount of trash generated or process certain waste such as electrical and electronic waste. The building of a new airport not only removes the focus of what really needs fixing on the island, but it also leaves a negative impact on the local community and environment. The main attraction of the island is its beautiful coral reefs, which will face irreversible damage if the construction is carried out. It can also cause a change in currents and sand movements, which may lead to beach erosion. The locals are concerned that this new airport may turn Pulau Tioman into another Boracay Island (the Philippines) or Maya Bay (Thailand), which had to be closed due to severe environmental damage brought about by uncontrolled tourism expansion. While the locals do not oppose development on the island, they feel that this airport project would impact Pulau Tioman negatively. More research and an environmental assessment of the island must be done before such projects are approved. The needs and views of the locals should be considered. Pulau Tioman is a marine protected area and it should remain pristine and protected.